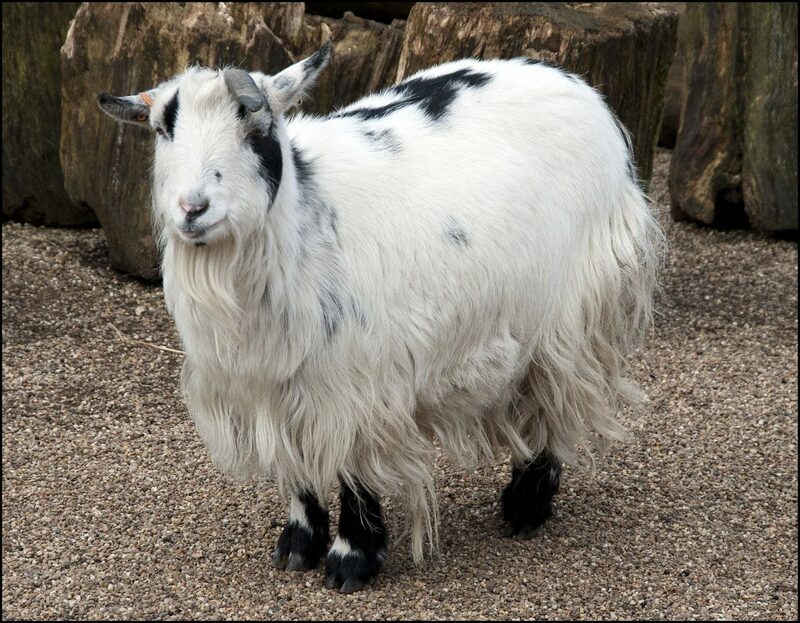 The African pygmy goat is a small domestic breed of goat that is alert and gregarious by nature. 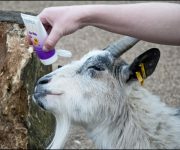 They tend to be more robust and breed more continually throughout the year than more common dairy or meat goats, and, despite their smaller size, produce large amounts of milk and meat. They have a full coat of straight hair, medium to long in length. 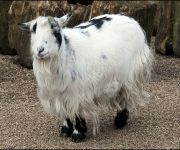 The density of the coat varies with the seasons and with the climate where the goat is found. Adult bucks have most hair, with their long flowing beards and their thick mane, while adult does will generally have no beard or their beard will be very thin.